Over the last week or so I have been carefully constructing a blog around unkindness in social media spaces …. this is not that blog …. but I am telling you this, dear reader, because it gives a little context. The reason I have been constructing a blog around unkindness is because I have seen so much of it of late, which, quite frankly, has made me fall out of love with social media a little. This is how I was feeling on Saturday morning, when instead of going for a run I decided to have a leisurely start to my day with a big bowl of porridge and a good book. Whilst I was waiting for my porridge to cook I picked up my phone and browsed Facebook … and I saw my Grandmothers house!!!! 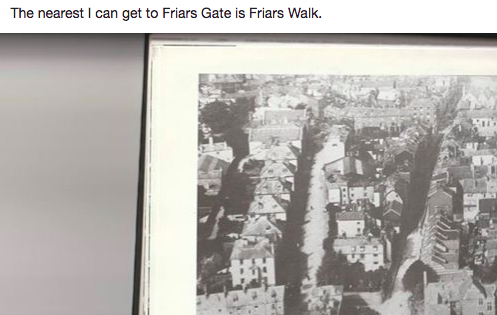 Although I now live in Bristol I actually grew up in Exeter and a few months ago I joined a Facebook group called Exeter Memories where people post old photos of Exeter and share experiences. It was in this group that someone shared an arial photograph of my Grandmothers house. 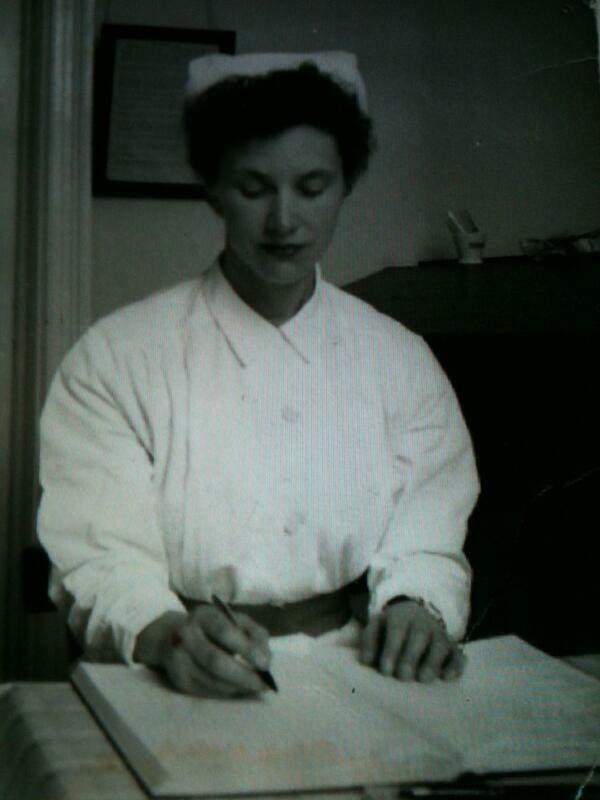 My Grandmother sadly passed away in 1978 – when I was 4 years old. She had a stroke, which she survived, but was left with a left sided weakness which meant she had to use a wheelchair and then not long after this she was diagnosed with bowel cancer. All of this meant that my mum, my brother and I all lived with her for a period of time … so her house was our house too. I commented on the picture that was posted saying that this showed my Grandmothers house, that she lived at number 3 and how I have vivid memories of hearing the Salvation Army Band practicing in their hall just a few hundred feet down the road. Imagine my surprise when someone else piped up that they had also lived at number 3 !!!!! Here’s where it gets a bit complicated, so bear with me …. this person who had also lived at number 3 had lived there between 1962 and 1969, which means that they lived there before we did. However it turned out that they rented the house from the same person we did …. the lady next door – Miss Ruby !! We had a wonderful conversation about how Miss Ruby had a sister in the 1960’s who by the time we lived in the house must have passed away. We talked about which bedrooms we had, the alleyway outside of the kitchen, how part of the tenancy agreement was to provide Miss Ruby with a Sunday lunch … and much much more ! So this may be leaving you all wondering where on earth I am going and, perhaps, can I get to the point already … well, my Saturday morning Facebook conversation left me feeling quite elated. All thoughts of unkindness in social media went straight out of my head, as did thoughts of picking up my book to read ! The conversation left me feeling warm and fuzzy and it reminded me about the immense capacity of social media to facilitate connections and sharing. The possibilities that social media affords us both as individuals and for nursing practice, in this example alone we have reminiscence, connecting people, reducing social isolation, improving wellbeing … and much much more! If you have an interest you can bet that there is a group for it on social media … and wow it can be powerful stuff ! !